For opportunity at hand, it is best always to be prepared. 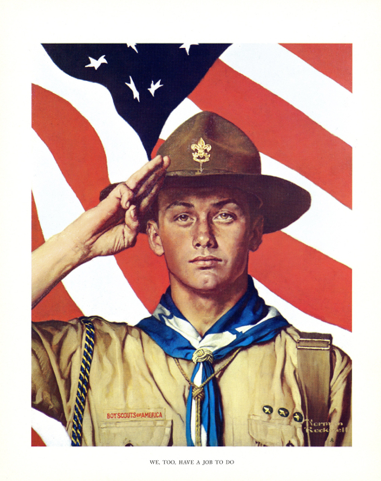 The Boy Scouts have it 100% correct, and their motto should be adopted, practiced, and preached by those who wish to Invest Like A Farmer; Be Prepared. The opportunity of a lifetime usually surfaces about once a month, and having ready cash as a resource can greatly improve your linear rate of return. A great example was the recent selloff in bonds triggered by the departure of a famous portfolio manager. More money was made over the past 10 days buying on that dip than the annual return for many funds over the course OF A YEAR! Eagle-eyed investors with cash at hand may be criticized for "wasting their funds" by not being fully invested at all times, but having ready cash--and by ready I mean ready to purchase in an account fully set-up already--can be a massive advantage. In my experience, a sharp sell-off in a security is most intense the first day, continues to fall the second day, and on the third day a capitulation point is reached. This should serve as a good model for those trying to time either a "dead cat bounce" or build a position in a quality piece of equity over several days.